DEVILSKIN have just recently been announced as support band for Slash (feat. Myles Kennedy) & the Conspirators on their upcoming tour of Australia. Casper recently had a great chat with Jennie Skulander about what’s in store from DEVILSKIN! DEVILSKIN are a phenomenon in their native New Zealand, their Platinum selling debut album WE RISE entered the NZ national album charts at Number 1 and stayed in the top 40 for over 54 weeks! The band exploded onto the NZ rock scene with the infectious Little Pills and Never See The Lightsingles and was followed by the Number 1 airplay song Start A Revolution. DEVILSKIN replicated their debut album success by debuting their second studio album BE LIKE THE RIVERat Number 1 on the New Zealand Album charts. BLTR has subsequently achieved GOLD sales certification and they celebrated by supporting American rock legends, DISTURBED and playing in front of an 11,000 sold out crowd at Auckland’s Vector Arena. The band has also actively toured the UK, Europe and the U.S. highlighted by an appearance at Download UK in 2017. In October 2018 DEVILSKIN supported Halestorm on 18 SOLD OUT gigs across Europe, 11 Countries, 18 cities, 18 sold out dates, driving a total of 14,000 miles! They then headlined their own UK tour 10 dates through the UK in November. DEVILSKIN have earned a formidable reputation by earnestly demonstrating commitment to unpretentious musical values, writing songs that have depth and passion, and a relentless touring schedule. Their tactical instrumental attack is balanced by the seductive Jennie Skulander and her incredible voice that sweeps from whisper to roar, rips with power, drips with melody and captivates with sincerity. The four-piece DEVILSKIN hail from Hamilton, New Zealand and comprise of the mesmerizing Jennie Skulander on vocals, the red bearded ‘evil twins’ Nail and Paul Martin on guitars and Nic Martin on Drums. DEVILSKIN’s recently released a new song ENDO, which is a powerfully crafted and visceral masterpiece. Not only does it showcase vocalist Jennie Skulander’s incredible power, range and emotional depth but the lyrics are an honest and brutal narrative of her personal struggle with stage 4 endometriosis. 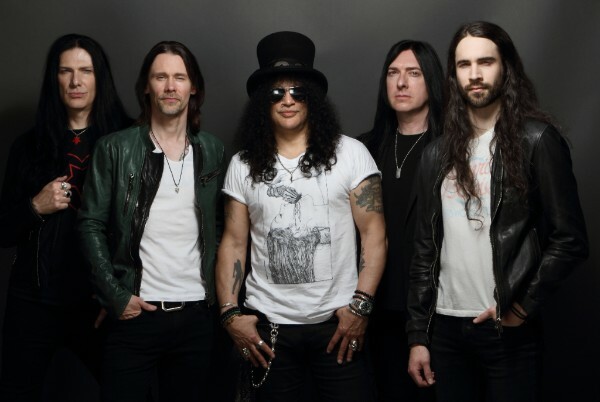 Slash Ft Myles Kennedy & The Conspirators Announce Devilskin As Support Act For Australia & New Zealand 2019 Tours! “Watch out for them conquering a continent near you soon!” – KERRANG! Australian audiences have previously seen Slash Ft Myles Kennedy & The Conspirators live as part of Soundwave festival and also their own headline shows over the years. In 2017, Guns N’ Roses re-united and Slash joined Axl Rose and Duff McKagan for the ongoing “Not In This Lifetime Tour” which Billboard now ranks as the fourth-highest grossing tour of all time. Slash has amassed album sales of over 100 million copies, garnered a GRAMMY Award and seven GRAMMY nominations and was inducted into the Rock and Roll Hall of Fame. He’s had 3 #2 Australian ARIA chart debuts and his first solo album, Slash (2010) is an ARIA Accredited Platinum album, while Apocalyptic Love (2012) is an ARIA Accredited Gold album. 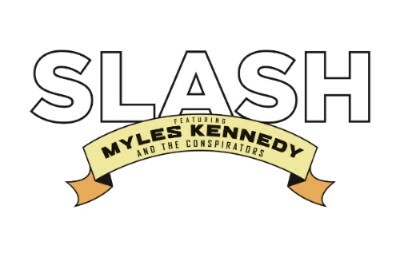 Slash Ft Myles Kennedy & The Conspirators Touring Australia & New Zealand 2019! Grammy Award-winning, American rock guitarist Slash returns to Australian shores in January/February 2019 with Myles Kennedy & The Conspirators in tow. A Telstra Thanks presale, exclusive to Telstra customers, starts Tuesday 23 October, from 2pm and is open until Thursday 25 September, 2pm. Go to telstra.com/presale for further details. Slash Ft. Myles Kennedy & The Conspirators have announced they’ll release their new album titled Living The Dream on September 21 via Slash’s own label Snakepit Records in partnership with Sony Music Australia. Living The Dream marks Slash’s fourth solo album and third with his band featuring Myles Kennedy (Vocals), Brent Fitz (Drums), Todd Kerns (Bass & Vocals) and Frank Sidoris (Guitar & Vocals). Pre-orders for the new album will begin on July 25. The group has announced they’ll kick off a U.S. headlining tour beginning September 13 in Los Angeles. Citi is the official credit card of the “Living The Dream” tour, as such Citi cardmembers will have access to pre-sale tickets beginning Tuesday, June 19 at 10 am US local time through Thursday, June 21 at 10 pm US time. For complete details, visit citiprivatepass.com. Slash fan club presales will begin June 19 at 10 am US local time, with general on-sale starting Friday, June 22 at10am US local time. Each ticket purchased online to a headlining show will include a digital copy of Living The Dream (September 21); all tickets are available at http://www.slashonline.com. The full itinerary (see below), encompasses three festival appearances: Sunday, September 16 at KAABOO Festival, Friday, September 28 at Louder Than Life Festival and Sunday, October 14 at Aftershock Festival. For Living The Dream, Slash and his band re-teamed with producer Michael “Elvis” Baskette (Alter Bridge, Iggy Pop, Incubus); the group is currently putting the finishing touches on the powerful 12 song collection. The band’s previous album, World On Fire entered the Australian ARIA chart at #2 and Apocalyptic Love also debuted at #2 on the Australian ARIA chart and is Gold Accredited. Both albums debuted in the Top Ten on 12 charts globally, spawned three #1 hit singles at U.S. Rock Radio and earned worldwide praise garnering Slash some of the best critical acclaims of his career. World On Fire and was tagged by Guitar World as “another bold and unapologetically riffy statement” and “a varied, immersive and incredibly hard rocking effort” (December 2014). Rolling Stone described Apocalyptic Love–the band’s debut album–as “filled with head bangers and plenty of fancy fretwork” and Revolver declared it “a collection of lean, high-octane rock-and-roll tunes built to be blasted out of open-top sports cars, or more suitably, open-air stadiums” (May 2012). Slash–the iconic, GRAMMY-winning, American rock guitarist, songwriter, and film producer–has amassed album sales of over 100 million copies, garnered a GRAMMY Award and seven GRAMMY nominations and was inducted into the Rock and Roll Hall of Fame. Slash landed on the top of the charts with his first solo album, Slash (2010) which featured Ozzy Osbourne, Fergie, Myles Kennedy and more. The album debuted at #2 on the Australian ARIA chart and is certified as an ARIA Accredited Platinum album. Shortly after, he formed his current band Slash Ft. Myles Kennedy & The Conspirators–which features Myles Kennedy (lead vocals), Brent Fitz (drums), Todd Kerns (bass/vocals) and Frank Sidoris (rhythm guitar)–who’ve been touring worldwide and making music for over four years. Slash Ft. Myles Kennedy & The Conspirators released the critically acclaimed Apocalyptic Love(2012) which stormed the Australian ARIA Chart at #2 and certified as an ARIA Accredited Gold album, Billboard Top 200 Albums Chart debuting at #4 as the top rock album. Apocalyptic Love has the added distinction of spawning Slash’s first-ever #1 rock radio solo hits: You’re A Lie and Standing In The Sun. Slash released Nothing Left To Fear (2013) the first-ever motion picture he co-produced from SLASHfiction, his film/TV production company specialising in the horror genre. He is currently working on a new film project. Slash Ft. Myles Kennedy & The Conspirators unleashed their second album World On Fire to worldwide praise garnering Slash some of the best critical acclaims of his career. Slash’s third straight solo album to debut in the Top Ten, World On Fire achieved over 12, Top Ten chart debuts around the world and seeing them debut on Australian ARIA Chart at #2. The album’s title track, first single World On Fire ascended to #1 at U.S. Rock Radio. In 2016, Guns N’ Roses reunited and Slash joined Axl Rose and Duff McKagan for the ongoing “Not In This Lifetime Tour” which Billboard now ranks as the fourth-highest grossing tour of all time. Slash Ft. Myles Kennedy & The Conspirators are now putting the final touches on their third studio album, set for release September 21, 2018.